This has been in the works for so long and I am so happy to finally be able to introduce you to the Lily in the Labyrinth shop. On offer are stylish items of jewellery, handmade by myself to the highest quality using semi-precious gemstones. 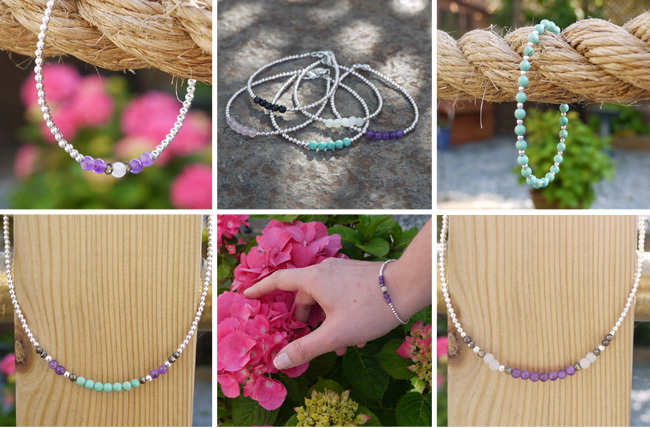 The signature product is the Boost Bracelet - a string of silver plated beads with a cluster of gemstones that will give your life a natural boost. Need some luck? Pick the Jade Boost Bracelet, or perhaps an energy boost? Pyrite would be perfect for you. But whether you believe in gemstone meanings or not, these elegant items are the perfect accessory to almost every outfit. 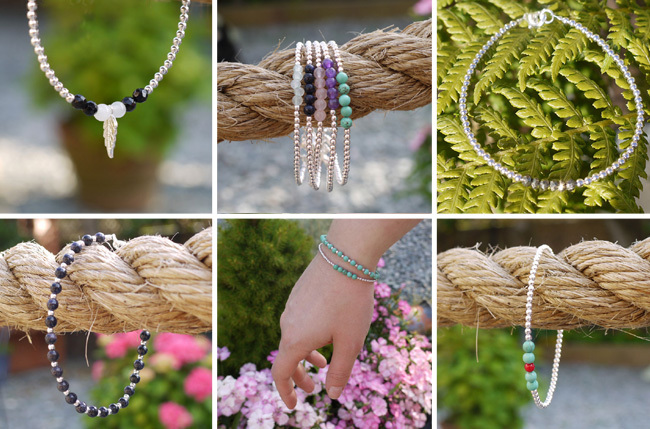 Layer them up with your other bracelets and silver chains for that boho look or why not wear with a gorgeous Boost II Bracelet for total cohesion. A range of necklaces are also available, carrying on the delicate, elegant feel of the signature bracelets. Be sure to check back on this blog as a very special Giveaway will be launching later this week in which you will have the chance to win products from the Lily in the Labyrinth shop along with some other fantastic prizes! LOVE the turquoise pieces. love love love it!!! Thanks for your lovely comments guys - it means a lot :) So nice to hear from you Cassiepeia! I am very happy to have found your blog, and thank you for sharing and showcasing such wondrous things!